First of all, most people who plan to have a holiday with their family in Bali definitely want fun with their families. Bali Island, as Indonesia’s main holiday destination, offers the family a wide array of fun activities. For example exotic zoo, water park and water sports like Bali. What about you, which one of your favorite family activities? 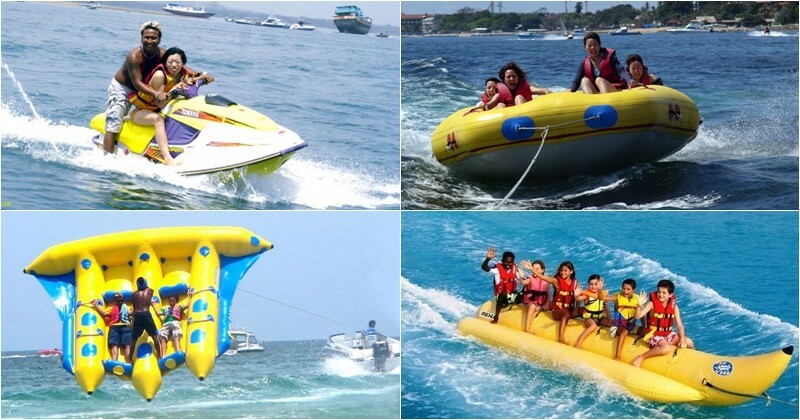 If the water sports activities in Bali appeal to you and your family, the question now! What is Bali’s best family holiday water sports games? You will find information on 9 best water sports games in Bali suitable for family holidays on this page. Water sports took place in Bali in two places, along the whitewater and ocean. 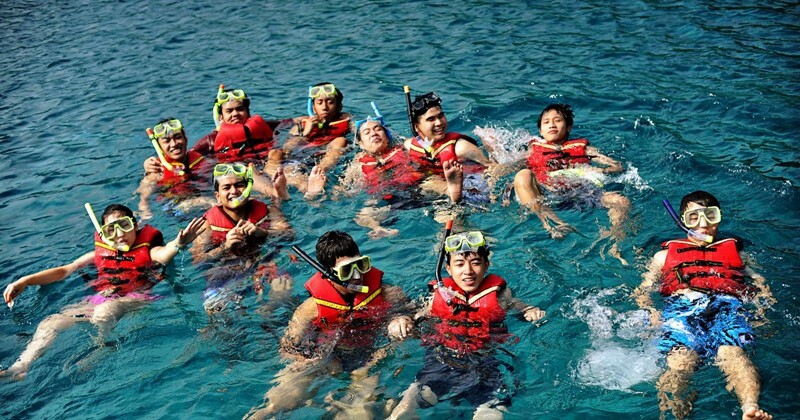 For water activities in the sea, held primarily in Tanjung Benoa Beach Nusa Dua Bali. Many tourists in Bali also think that the beach in Tanjung Benoa is the best place to practice water sports. The Ubud Ayung Rivers and Telaga Waja Karangasem Bali River are two whitewater rivers for fun games on the river. 1. Adventure Parasailing Bali or called it Tandem Parasailing. Bali Tandem Parasailing is the first on Bali’s list of 9 best water sports games. Bali parasailing in tandem or adventure is still regarded as a new marine activities. Bali Parasailing adventure usually takes place on the beach at Tanjung Benoa. Moreover, most people in Bali call parasailing tandem as a parasailing adventure. 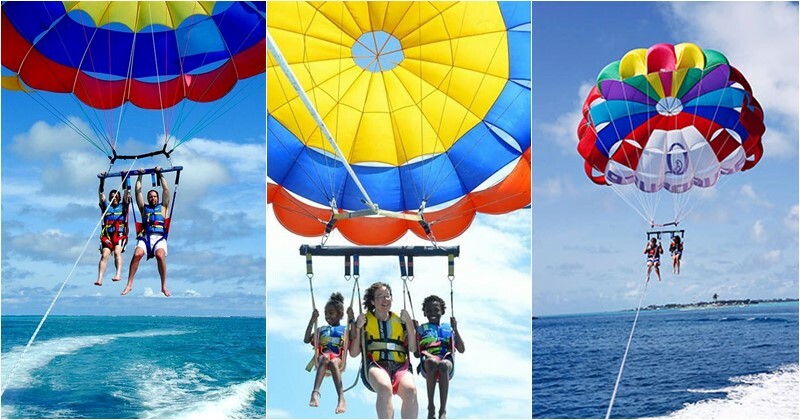 This is why it means tandem parasailing during your holiday in Bali, when people talk about parasailing adventure. In the morning from 09:00 – 14:00 you have an ideal time to have Bali Parasailing Aventure. Tanjung Benoa Beach Nusa Dua Bali is the best place for Bali Parasailing adventure. 4. Bali competitive adventure prices tips make an online reservation early and avoid walk – in reservation. 5. You can see on the table below the Bali adventure prices for each water sports operator. To find out more detailed information, please click the name of the water sports operator in the table below. price for adult or child is the same. The right game to choose is jet skiing, for fun, recreational and exciting water adventures for children and families. 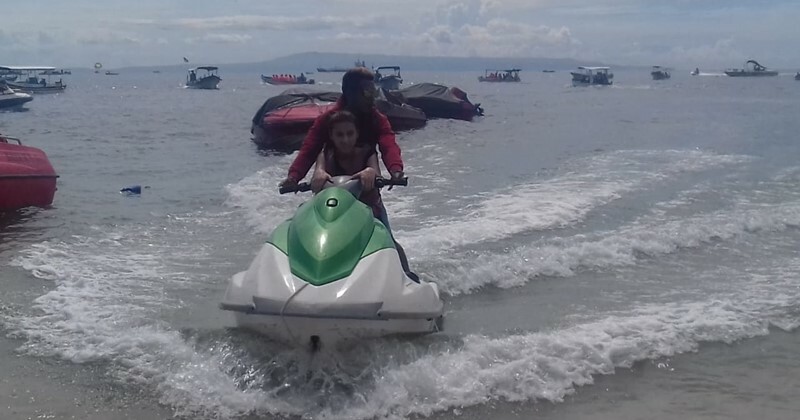 In addition, there are two beaches commonly used as a jet ski ride game in Bali. There are beaches in Sanur Beach and Tanjung Benoa. Most of the clients, however, prefer to go ski jets in Tanjung Benoa. The affordable jet ski ride price is due to its offering. Tanjung Benoa is the ideal time to take a jet ski ride from 9:00 to 14:00 in the morning. Offered in beaches Tanjung Benoa and Bali beach Sanur. There is no need for swimming skill, but a life jacket should be weared. Most water sports operators from Bali, offer jet ski rides, and trainers sit behind them. You must reserve advance tickets for competitive Bali jet ski rid prices online. Do not also book for the day of the activity by booking a walk or booking. 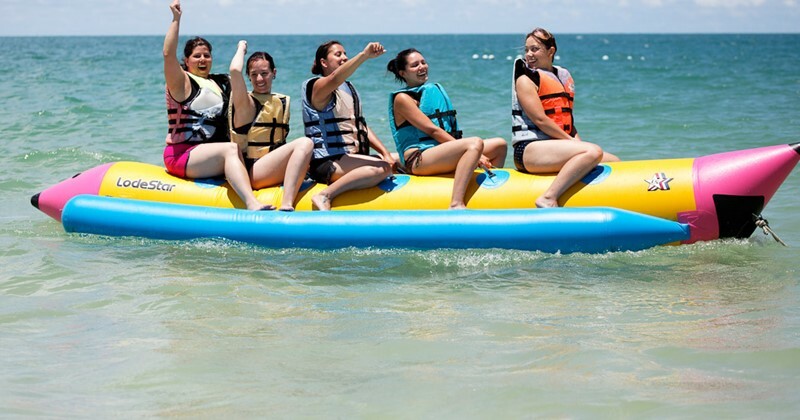 You probably all don’t want extreme Bali water activities and therefore my recommendation is to join the banana boat ride once you’re at our beach location for those of you who want a restful, fun and fun water sport in Bali. There is a lot of spots for rides by Bali bananas. But Tanjung Benoa Beach is best known for rides by banana in Bali. The perfect time to take a banana boat trip from 09:00 to 13:30 in the morning. Participants are not obliged to be able to swim, but they have to wear a lifejacket..
4. If you are looking for a competitive Bali banana ride price, my recommendation is that you book online beforehand. Also, avoid booking a walk in the day of activity. Instead of internet price, the banana ride is a publication price. 4. Ocean Walker Bali Tanjung benoa Beach. In addition, Balí is so famous for scuba diving, and many professional and diving enthusiasts come to Bali to explore the marine life of Bali. Since we don’t all have the courage to scuba dive, some of you may be curious about how it feels to dive in the ocean. Many Bali water sport operators offer Bali seawalking activities in order to accomodate many people curious how it feels to dive underwater. Bali Sea Walkers have two places ; Sanur Beach is the one, and Tanjung Benoa Beach is the other with more visitor to try as they can combine with other water game. Bali Sea Walker’s participants do not need the ability to swim and dive. A watertight helmet is worn by the participants, and the helmet allows mariners to breathe like on the floor. The perfect time to go for water Ocean walkers from 09:00 to 12:15 in the morning. 5. You can make a reservation online with tips for an affordable Bali sea walker price. Avoid a walk – in reservation on the activity day as well. The publishing price applies instead of the internet price because of Bali Sea Walker. Bali’s snorkeling areas include Tulamben, Menjangan Island, Padang Bay and Nusa Penida bay. There are many places to snorkel. The Tulamben, Menjangan, Padang bay and Nusa Penida locations, however, are very far from Kuta beach. However it is a very long distance from Kuta to Tulamben, Menjangan, padang bay and Nusa Penida. The Tanjung Benoa is located in the vicinity of other popular Bali areas like Uluwatu Temple Bali, Pandawa beach, Padang-Padang Beach and Kuta Beach. Due to this reason, many tourist prefer doing snorkeling at Tanjung Benoa beach and also consider can try other water sport game at the same spot. 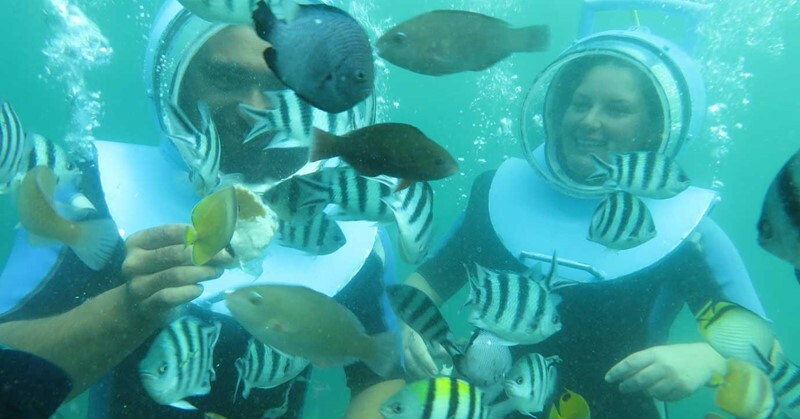 The ideal time to snorkel in Tanjung Benoa is from 09 a.m. to 1 p.m. Participant in snorkeling needed skill in swimming. If you are not a good swimmer, you can also wear a lifejacket. Avoid snorkeling during the rainy seasons or dark sky clouds. To get a low cost snorkeling price from Tanjung Benoa, you need to book online. The publication price applies to a walk – in booking. The list of 9 best water sports games for family members in Bali I’m supposed to include flyboards. Because not every family loves relaxed activities in water sports. Some of you have to look for more difficult and extreme water sports. So you must join Bali flyboarding if you wish to experience high – level marine sports adventure in Bali. Bali flyboard in Bali is considered a new and extreme activity for water sports. In Bali also, the aquatic flyboard in the beach Tanjung Benoa is widely available. 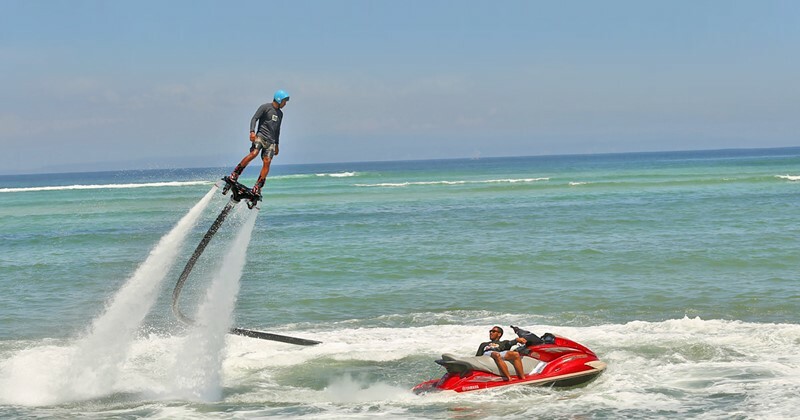 While it is still expensive to flyboard Tanjung Benoa compared to other maritime sports in Tanjung Benoa, many travelers are unwilling to try it out. The best time to participate in flyboarding is between 09:00 and 11:30. The participant in Bali Flyboard needed an excellent body balance. Also, a life jacket you can wear. For competitive prices, book online. Age range from 12-65 yo. Ayung River Ubud classified as a river rafting international level 2–3. 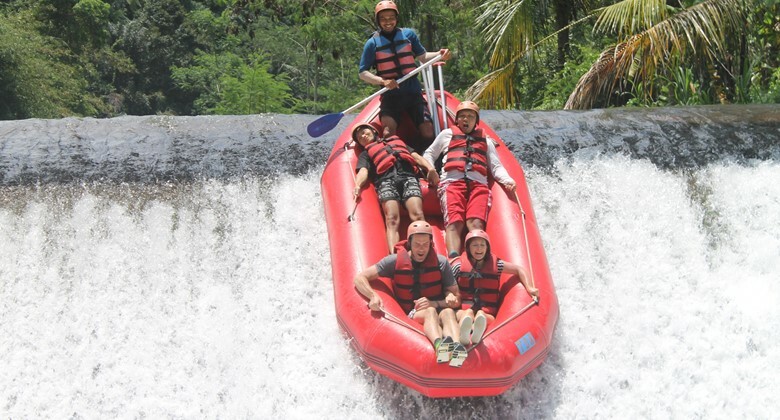 This makes the Ayung Ubud River very good for family rafting tours. Therefore I list 9 Best Water Sports games in Bali with Ayung River Rafting Tour. While Ayung River Ubud has many whitewater operators on offer and every whitewater company offers a different price for Bali rafting. from the low price of rafting to the high price of rafting. But for your money, we choose the best value. Each Ayung River firm doesn’t find things that create price differences at the river location. . However, the services and the property quality class offered to customers by each rafting operator. The higher the river rafting price, the higher the rating operator quality, the more the quality of their properties, such as the toiletries, the changing room area, hall, equipment quality and food choice. We choose the right option for your trip with best rate offers. Telaga Waja rafting Karangasem is the number 8 of best water sports games in Bali. In Bali next to the river Ayung, there is another river where rafting took place. The Telaga river Waja, which is the longest rafting river in Bali. Moreover, the Telaga Waja River was classified in the class of rapids of levels 2 – 4. These mean rivers Telaga Waja feel more exciting than Ayung River Ubud. . 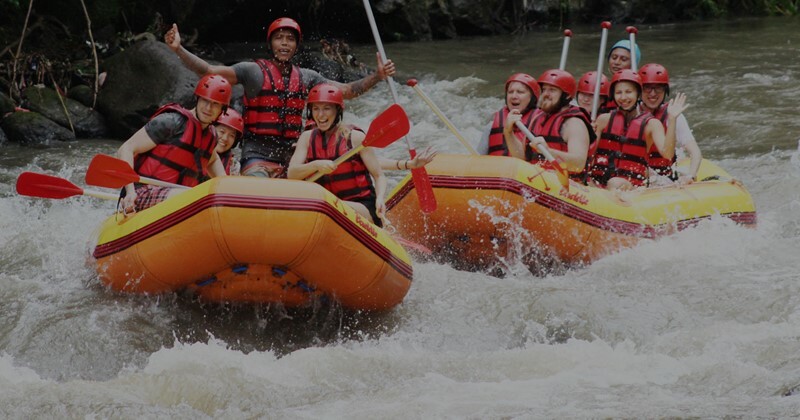 While its most intense flood compared with the Ubud Ayung River, the Telaga Waja River still recommended the best river rafting location in Bali. What are now the best shoes operators for safety, fun, excellent services and value for money in the rivers Telaga Waja? Book now online to get a best rate on the best of your rafting adventure at the Telaga Waja river. Want know more details about Telaga Waja river rafting ? click here please! 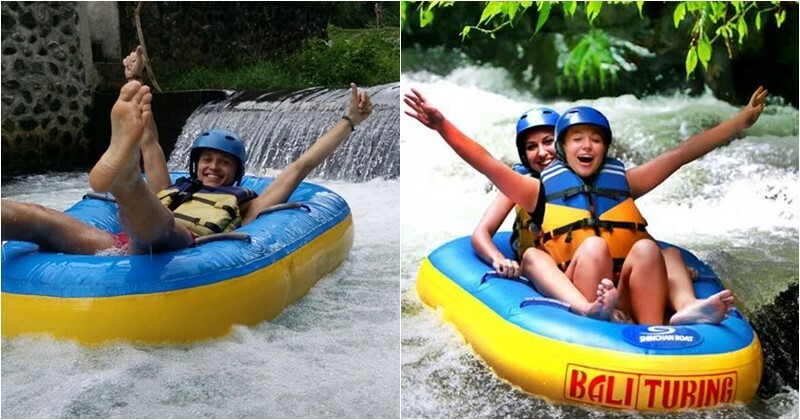 Our last of 9 best water sport in Bali is Pakerisan river Tubing, its one of the famous water sports for those who been try the Ayung river or Telaga waj river Rafting which can do with family holiday, child start from 7 years can do tandem tube with parent for safety and still fun tubing experience. Now after read our information, surely you can decide, which water sport do you want try with your Family. We are ready to serve you holidaay for more memorable holiday. It is also recommended to book the Bali Watersports package if you are interested in joining Bali water sports activities with your family. You will get a low price with free pick up and transfer back to your hotel in Bali by choosing the water sports package in Bali. In conclusion, all the 9 best water sports games for children and families in Bali are on the list. Furthermore, if you have any comments, comments or suggestions, add 9 of the best water sports games in Bali to the list. if you more interesting our Bali tubing trip, please read more here.